Ski touring always gives a lot of positive emotions and a rich experience. In their plans for a journey to Italy, most travelers are interested in ski resorts located not far from Milan. Because choosing these resorts they, probably, mix shopping in a fabulous and fashionable pearl - Milan with an unforgettable skiing vacation. 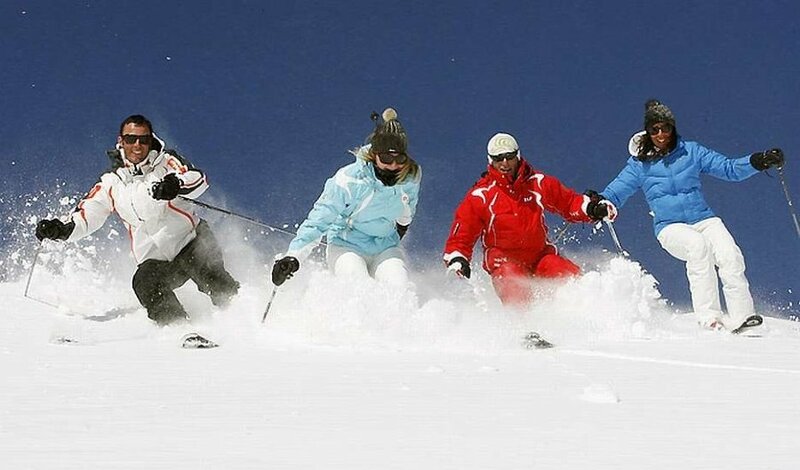 There are some ski resorts which are as close to Milan as practically possible. To get to the place of resort a large company can order a group transfer. Cervinia is a ski resort located in the north-west Italy. This vacation destination is perfect for companies with children or for those who want just go skiing. If the main requirement to snowsports holidays is extreme, then you should go to the other place, not to Cervinia. Bormio is one of the picturesque places near Milan, giving a golden opportunity to relax in the mountains. The resort is located in the Alps, and it is equipped with the trails not only for beginners but also for professionals. Here you can relax in a company of good friends and also have a great time with children, there is a specially equipped place for children in Bormio. Not far from Milan there is also Livigno resort. It was opened only a short time ago, but it is being actively developed and attention of tourists is being increasingly focused on it. It is located at the border with Switzerland. Especially this place will be appreciated by lovers of snowboarding as well as beginners or middle-level skiers. A group transfer is a usual practice for those who love to travel a lot. This kind of service is a real catch for a tourist. Visiting new countries, the last thing we want is to find a way and get lost in an unfamiliar territory. Moreover, the employees of our company speak both Russian and English, as well as many other languages. They will book a transfer for you by minibus or bus, where up to 40 people can take their seats. Also they can easily take their places with skis. • Service. Ordering a transfer, you will be provided with an excellent support service. The ordered vehicle will arrive at said address in proper time and take you from Milan to the ski resort and back. • Security. The service is supplied exclusively by professional drivers who know the route exactly. • Speed. Using a transfer you will have no need to waste your time and stop during travel. The driver will stop over at your request only. • Comfort. We provide only modern vehicles that assure comfortable placing for all passengers. • Benefit. A transfer from our company will cost you significantly cheaper than a taxi. Local taxi drivers intentionally raise their prices for tourists, choosing the longest route to the destination. Moreover, a large group with skis can not be placed in a taxi. If a large group of people with skis need to get from Milan to one of the nearby ski resorts, then a transfer is the best way. Book your transfer from Milan to ski resorts right now and get 5% discount CLICK HERE.